WD Gann the famous name in financial market was born in June 6, 1878. He was a great finance trader who developed the technical analysis tools known as Gann angles, Square of 9, Hexagon, Circle of 360. Gann claimed to have made a world’s record in leverage and accuracy more than once, that he had developed trading strategies for speculators and that he could predict market moves to the exact price level. The Gann theory is based on geometry, astronomy and astrology and ancient mathematics. So accurate were W.D. Gann's techniques that in the in the presence of representatives of a major financial publication, he made 286 trades in a period of 25 market days, on both the long and short sides of the market. Of these, 264 trades were profitable! In 1933 Mr. Gann made 479 trades during the year. 422 were winners and 57 were losers. The return on his capital was a staggering 4000% (Copied text). Since his death, W.D. Gann has become something of a legend in financial circles. 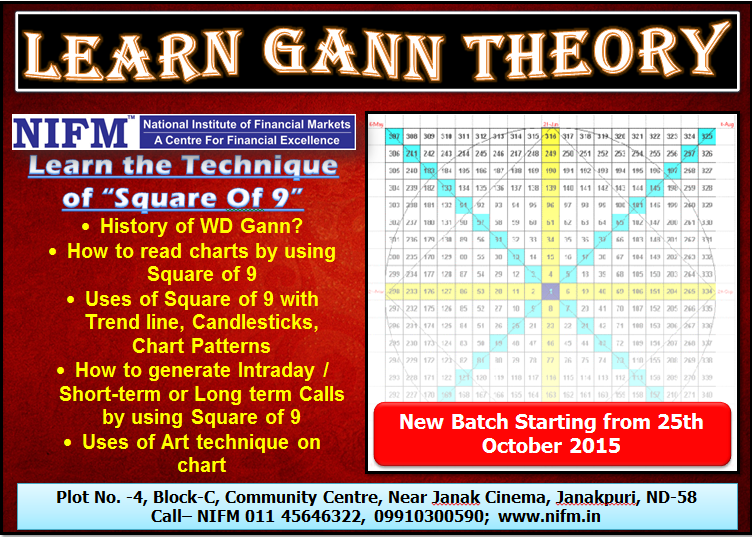 To know more about the Gann theories join NIFM. Our batch is starting from 25th October. In this course we will cover about the history of WD Gann, an intro of Gann angles, Square of 9, Hexagon, Circle of 360. How to use square of 9 in our intraday, short term or long term time frames. The uses geometry, astronomy and astrology and ancient mathematics and many so many things. Don’t miss the chance join our course, book your seats now. NIFM is also providing you so many courses for different profile job in this market. Like Dealer, Relationship Manager, Technical Analyst, Fundamental Analyst, Risk Management etc. 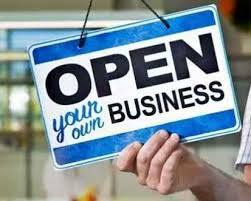 If you want to make your carrier in Stock market join this course. Anyone can take class after 10+2. If you are a house wife or a retired person but want to do something from home. It is a great opportunity to you. Don’t Miss it.